Our Four Panel Photo postcard design template features a front that displays four photos with a colorful banner below for your custom text. The four photo display allows your retail business to showcase your products or services. 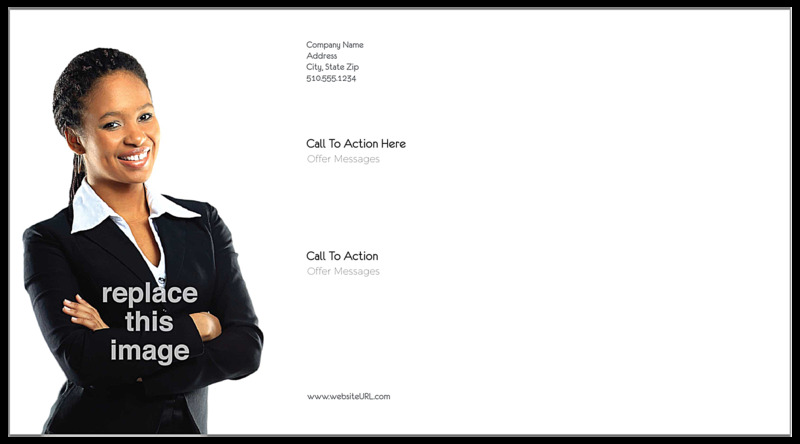 The back features a replaceable image and a white background with plenty of space for your company name, contact information, message, and call to action. Choose between five different color schemes and personalize your text to match your brand with our easy-to-use design tool! Our online postcard maker allows you to print custom postcards featuring your own company name, address, website URL, images, messages, and more — whatever you want! Select your template from our professionally-designed postcard template library, then let the intuitive interface guide you through customizing each design element. It’s fast and easy! When you’re done designing, you can even download a shareable PDF to use to get valuable feedback before you print your postcards. Thousands of businesses trust PsPrint’s fast turnaround and reliability every day. 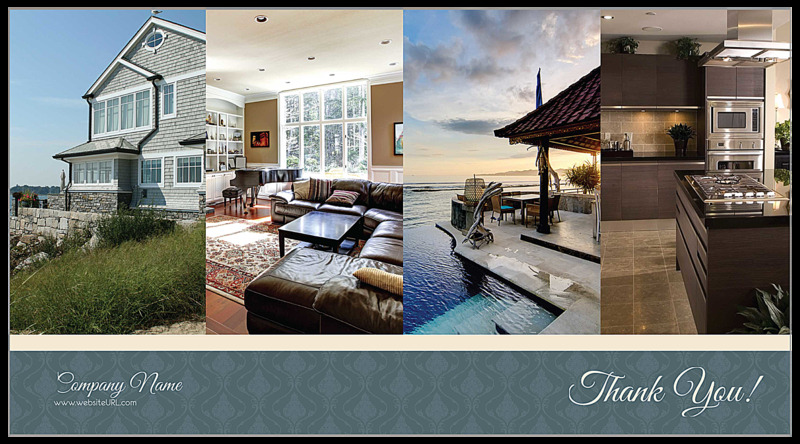 We deliver professional-looking postcards printed on premium paper stocks with vibrant soy-based inks. Best of all, our postcard printing services are backed by our 100% customer satisfaction guarantee, so you know you can rely on PsPrint to meet and exceed your expectations as your online printing partner. Our custom printing team is available to help you make a reality of whatever you have in mind and print the perfect postcard. We can add a custom, foil stamp to your postcard. Want to print other marketing tools to match your branded postcards? We offer a full suite of print marketing materials including business cards, flyers, door hangers, and more!